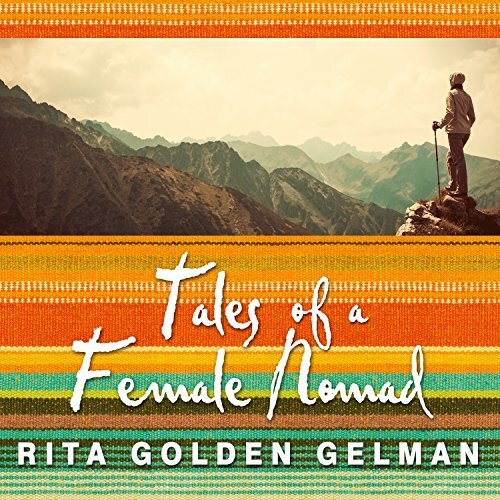 Tales of a Female Nomad is the story of Rita Golden Gelman, an ordinary woman who is living an extraordinary existence. At the age of 48, on the verge of a divorce, Rita left an elegant life in Los Angeles to follow her dream of connecting with people in cultures all over the world. In 1986, she sold her possessions and became a nomad, living in a Zapotec village in Mexico, sleeping with sea lions on the Galapagos Islands, and residing everywhere from thatched huts to regal palaces. She has observed orangutans in the rain forest of Borneo, visited trance healers and dens of black magic, and cooked with women on fires all over the world. Rita's example encourages us all to dust off our dreams and rediscover the joy, the exuberance, and the hidden spirit that so many of us bury when we become adults.